At a chamber music concert, ensembles showcase gorgeous tone and vivid emotion. 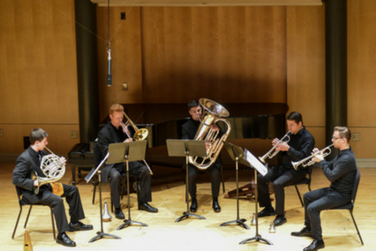 This faculty-curated program features exceptional ensembles from the UMD School of Music’s chamber music program. Chamber music is at the core of the School of Music’s curriculum. The leadership and communication skills essential to its performance, when applied to large ensemble settings, empower musicians and lead to outstanding performances.